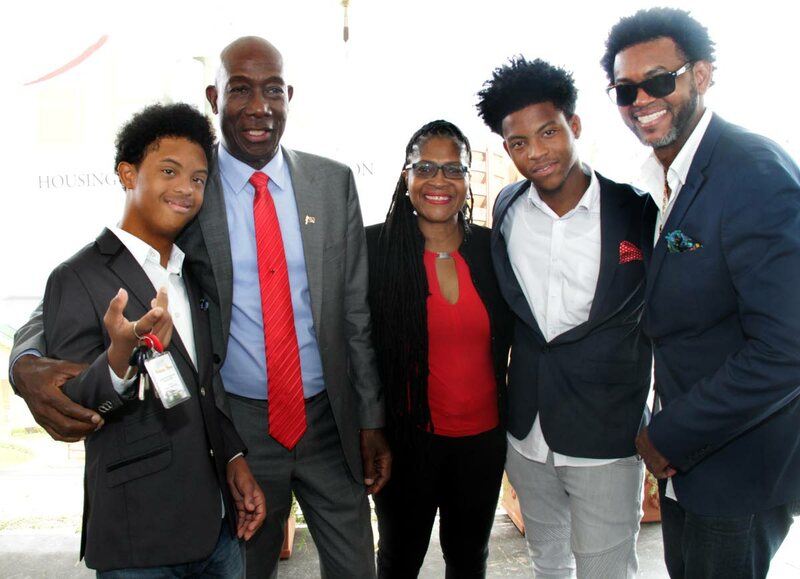 HAPPY HOME: Prime Minister Dr Keith Rowley poses with the Gulston family at a key distribuition ceremony at the Spring View housing development in Valsayn. From left is Daniel, Dianne, Denilson and pannist Dane. THE PRIME MINISTER yesterday accused the Opposition of promoting a pessimistic approach to governance and said it had not acknowledged government’s attempts to bring about an economic turnaround. At a distribution ceremony at the Spring View Housing Development Estate in Valsayn yesterday, Dr Keith Rowley blasted the Opposition for not wanting citizens to feel at ease. Rowley also provided a brief history of the project’s development and challenges over the years at a distribution ceremony yesterday in which he lamented mismanagement during his tenure as Housing Minister in 2007 and stalled completion during the People’s Partnership administration. He said government had information which implicated one former public official in corrupt transactions. He added that government has taken the matter to court and claimed one company had bought a parcel of land for an estimated $120 million more than the land was valued at. This malfeasance, he said, was responsible for the slow pace of development at the estate, where applicants could have been living for the past seven years. Reply to "Rowley: Opposition doesn’t want us to be happy"